MyOPD – Now with Punjabi and Bengali Prescriptions! We are excited to announce the availability of Punjabi and Bengali Prescription support in MyOPD. 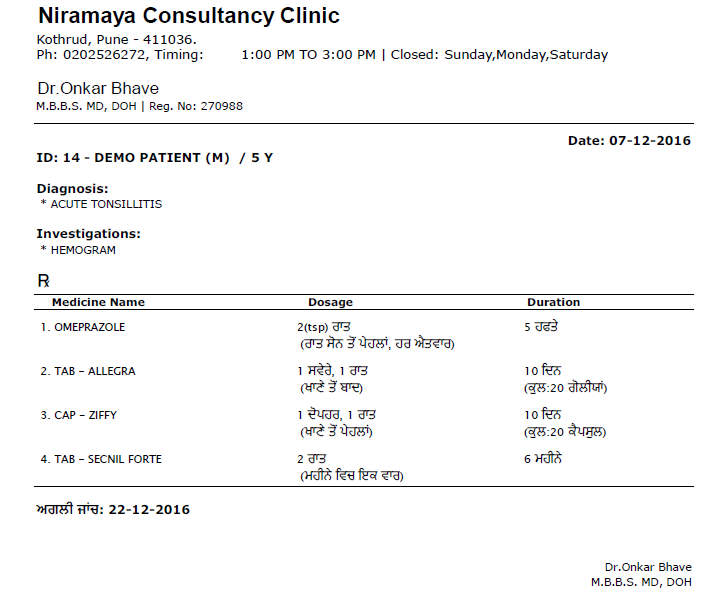 Here are sample Prescriptions generated from MyOPD. About MyOPD: MyOPD is a Software for Doctors. Start your FREE Trial today! You can download the software directly from http://www.myopd.in/ and try it out. Drop a mail to [email protected] and we will be happy to help. 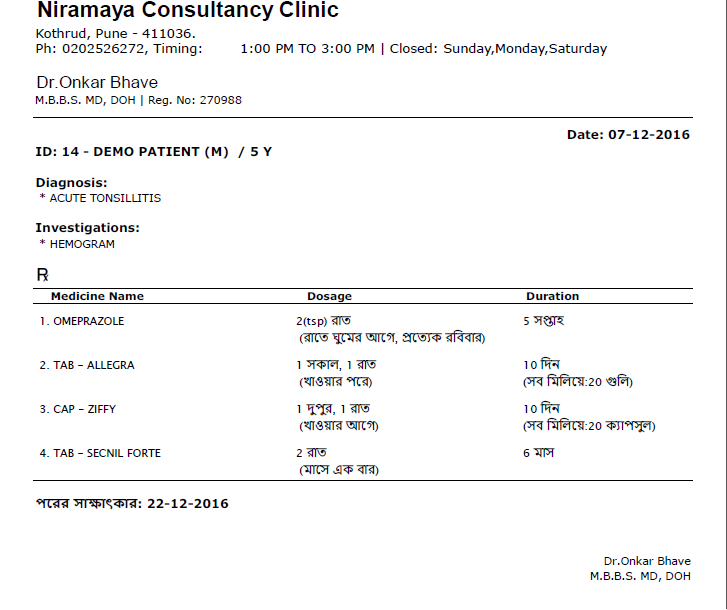 This entry was posted in Informative and tagged #bengali, #doctorsoftware, #emr, #myopd, #punjabi on December 7, 2016 by Team MyOPD.